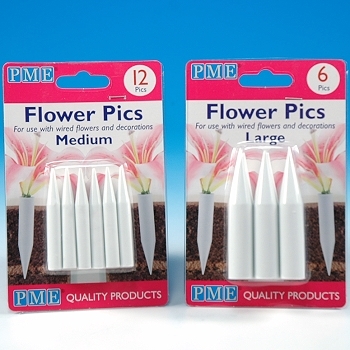 Flower Pics are the ideal holder for edible and non-edible decorations. The perfect solution for placing wired gum paste flowers and decorative shapes into position on cakes, cupcakes and desserts. 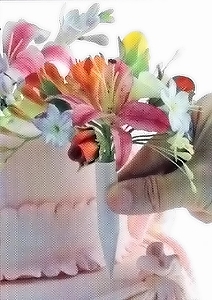 Simply assemble finished bouquet into the Flower Pic, then insert it into position on the cake.